Round 3 voting begins TODAY! you can show your support to your gurus by casting your votes! 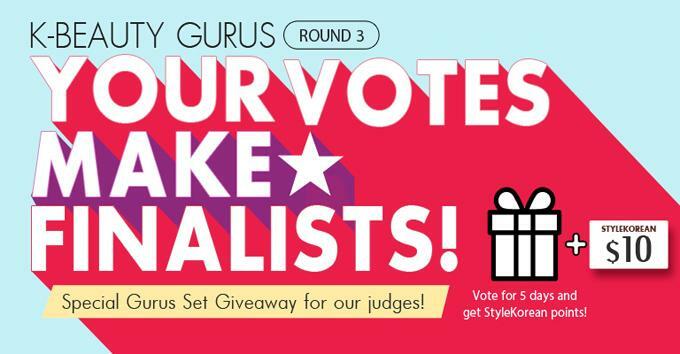 It’s all up to you, to make your guru the finalist or not! Didn’t you forget that? The final 4 contestants will be coming to Seoul, South Korea! Remember, you can vote up to 2 times a day. But you can’t vote for the same person more than once! we have brought following three big events for our judges! 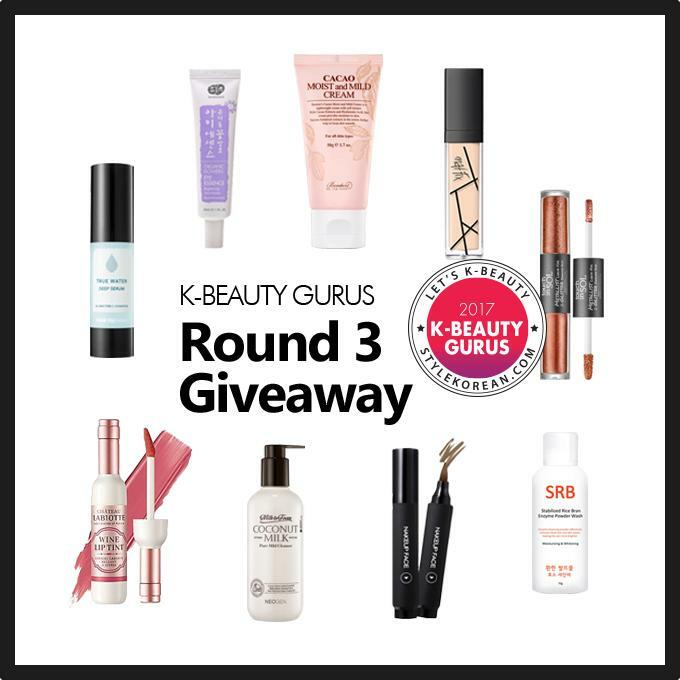 will be gifted $10 in StyleKorean Points! to receive the special Giveaway Box consists of Gurus items! Here is the list of two giveaway sets that the giveaway winners are going to receive! So, are you ready? Are you excited? Then get set, LET"S GO! © 2017 STYLEKOREAN K-BEAUTY GURUS. ALL RIGHTS RESERVED.